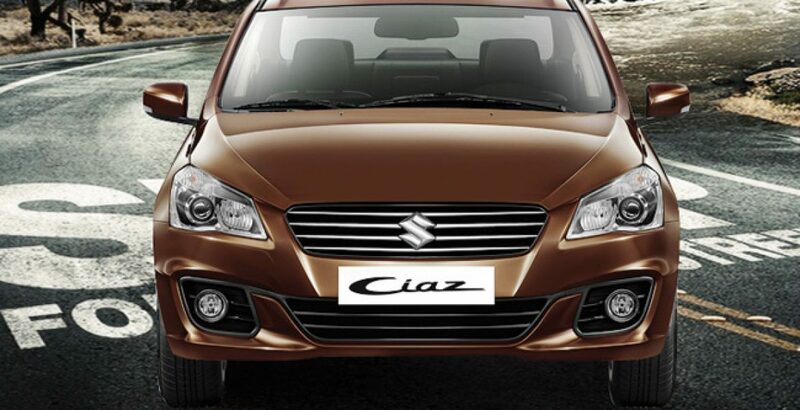 Disappointed by the market response for Kizashi and Liana, Suzuki decided to give its fans a better alternative in the form of Ciaz. While Kizashi seems to be over-priced, the Liana had its own set of problems which distracted the individuals from going for it. 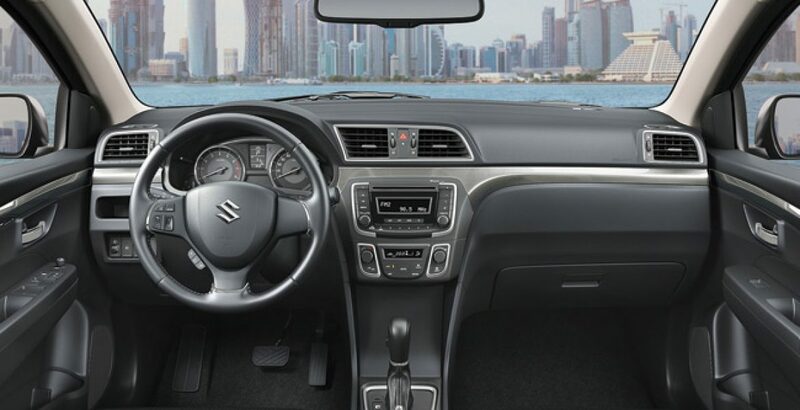 A Vitara sibling, the Ciaz is a compact car that replaces the Suzuki SX4 sedan in the Asian and other markets. The first generation of Ciaz was launched in 2017 by Pak Suzuki motors – a Pakistani affiliate of the Japanese automaker, Suzuki. 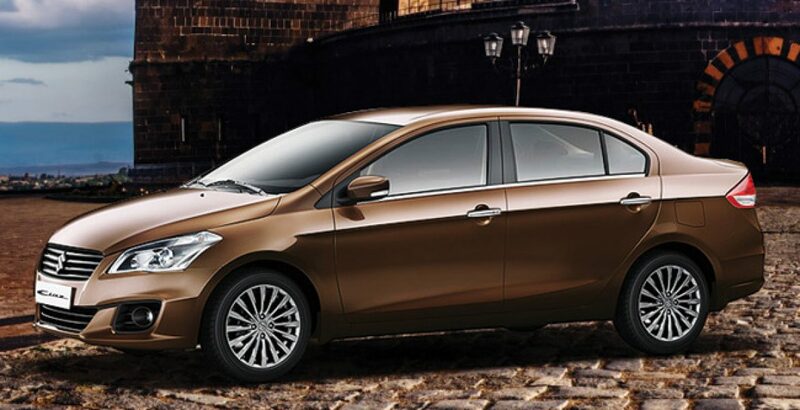 Now the latest Ciaz 2019 specifically caters to the taste of those who believe that good enough isn’t enough. Available in both the manual and automatic variants, the Suzuki Ciaz 2019 price in Pakistan varies slightly across the variants. Appearing to be a near replica of the Corolla’s GLi 1.3 model both in style and performance, the Ciaz offers a better alternative to its competitor especially in terms of price. It might be particularly because the Suzuki automobiles are almost always reasonably priced against their rivals with almost the same specs standards. Both the sedans measure almost the same in their length, width, height, wheel base, wheel size, minimum turning radius, and seating capacity. In each case, you will also come across the keyless entry system, power steering, power windows, air conditioner, anti-lock braking system and provision of air bags for both the driver and the passenger. They differ mainly in the piston displacement and the transmission system, and in both the cases the Ciaz emerges to be superior. While GLi measures 1298cc in displacement and offers an ordinary manual transmission system, the Ciaz comes with the displacement of 1373cc accompanied by an advanced automatic transmission technology. However, the Gli scores a bit better especially in terms of kerb weigh (1275 kg against 975 kg) and the fuel tank capacity (55 L against 42 L). Putting the Suzuki Ciaz 2019 price in Pakistan against that of GLi, the latter asks for an additional amount of around three lac rupees – a big gap! Still the potential buyers may not go for the Ciaz since it is a new entrant in the Pakistani market while its rival boasts a long, prestigious history. The Ciaz cannot claim the title of the ‘super power’ even after beating Corolla’s GLi. It has to face and defeat rivalry from another direct competitor in the market, the City from Honda. 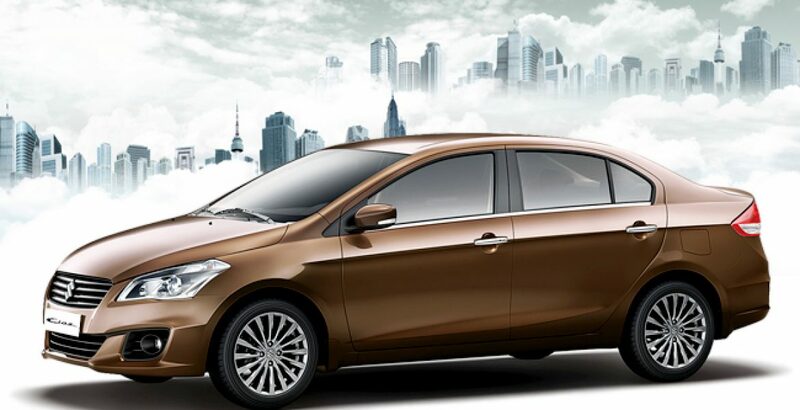 Both the Ciaz and City appears to be almost the same in their stature. However, there do lie certain minor and major differences embedded in their specs and furnishing. For example, City measures 4395 mm, 1695 mm, 1480 mm, 2550 mm, and 160 mm in its overall length, width, height, wheel base, and ground clearance, respectively. On the other hand, the values for Ciaz’s overall length, width, height, wheel base, and ground clearance are 4490 mm, 1730 mm, 1475 mm, 2650 mm, and 160 mm, respectively. As you can see, there are only minute variations in their dimensions. In both the cases, there are four doors, seating capacity for five persons, and the fuel tank volume of 42 litres. The major difference lies in the kerb weight, engine displacement and the mileage. While the City has the curb weight of 1155 kg, the Ciaz happens to be significantly lighter, measuring just 970 kg. Similarly, the City takes lead in terms of the engine capacity and the power generation. As far as the mileage is concerned, the Suzuki’s Ciaz scores a bit higher. Against the 14 km/l mileage offered by the City (Aspire Prosmatec 1.5), the Ciaz can travels 2 km more against the consumption of a single litre of fuel, i.e. up to over 16 km/l. Both the sedans have variants with automatic transmission system. 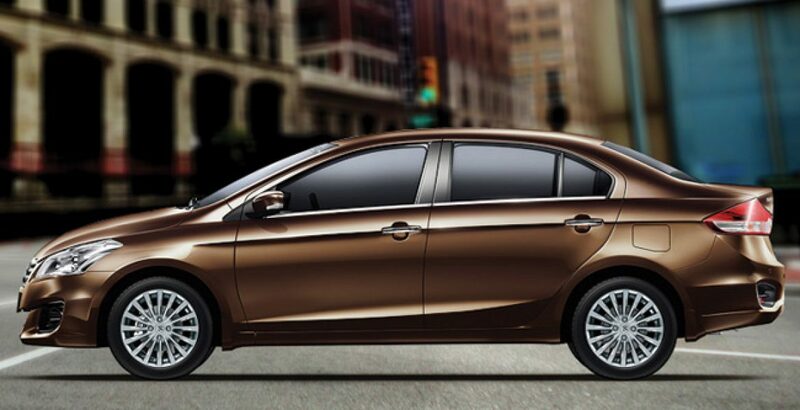 But City’s gearbox is a bit advanced with 5 gears against the 4-speed transmission of the Ciaz. 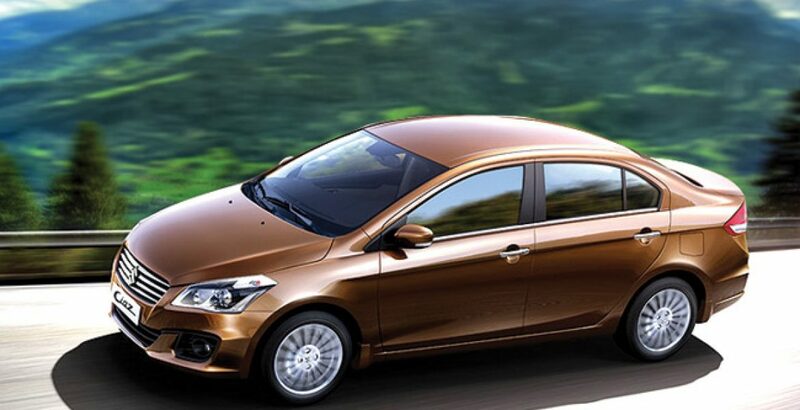 However, a 5-speed manual gearbox is available in Ciaz. 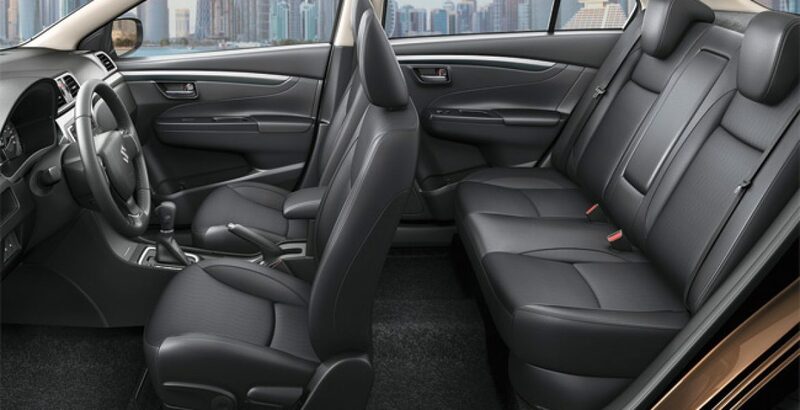 Comparing the Suzuki Ciaz 2019 price in Pakistan with that of City, the former happens to be the much better option. While the Ciaz offers extra convenience and sophistication through its keyless entry system with answer back functionality, it does support the anti-theft mechanism in the form of the immobilizer. In addition to the immobilizer (an anti-theft device), there is another layer of safety – the security alarm. As the illegal hands reach the vehicle from any side, it starts sounding a loud alarm to warn the owner. Powered by the K14B technology, the engine can travel some extra mileage against the consumption of the same amount of fuel as compared with its rivals. Here you come across a range of entertainment options, including USB, audio, radio, and CD/MP3 player. All contributing to and reinforcing the vehicle’s security system, the ABS, EDB and airbags utilize the latest technology and dynamics. It must be a great news for the Ciaz lovers that the subcompact luxury sedan offers as many as five colour variations for its body. The available body shades include snow white pearl, super black pearl, star silver metallic, dignity brown pearl metallic, and mineral grey metallic. The Suzuki Ciaz 2019 price in Pakistan varies across its automatic and manual variants but there is not a big gap as witnessed in the rival brands. While the manual version is priced at 18.6 lakh rupees, the automatic Ciaz asks for an additional 1.5 lakhs. On the other hand, the City Aspire Prosmatec 1.5 i-VTEC’s price is over 22 lakh rupees.